Whatever area of life we’re examining – be it your private life, physical life or profession – our negative thoughts can lead to a immovable obstacle. James Allen states: All that a man achieves and all that he fails to achieve is the direct result of his own thought. All these quotes state that EVERYTHING YOU HAVE IN LIFE IS EXACTLY WHAT YOU DESERVE TO HAVE AND EVERYTHING YOU WANT TO HAVE. Do you buy into this? I believe wholeheartedly because from my experience in fitness, business and life, I have found the results you achieve will rarely exceed your acceptance of this philosophy. It’s no different in bodybuilding and fitness. As much as we all boast the desire to transform our bodies into something beyond the norm, we all make choices to blame our failure on others, make excuses for ourselves, and deny our responsibility. Instead of telling you to “be stronger” and “ignore the negativity” and “just be positive”, let’s do something practical and examine each perceived negative excuse or negative reason and turn it into a positive reason for why you can be successful. We’ll take an alleged disadvantage and turn it into an advantage – it just requires you to think a different way. Can you do that? If you have watched any of my training DVDS (especially leading up to Worlds), you may have become jealous noticing that I was training 2-3 hours a day on average and assumed that’s what’s required of you to lose fat. It’s not. I’m Vince Del Monte and you’re (place your name here). We’re two different people with different training ages, genetics, metabolisms, resources, goals and recovery abilities. I show you what I do so you can take away principles that work, not particulars. Still, you might hear about other pro bodybuilders and athletes training hours a day and think that must be the way to look awesome. And because you can only spare one hour, four times a week you assume you don’t have enough time to train. The Positive Angle: For the average bodybuilder, training more than less will lead to overreaching and then overtraining. 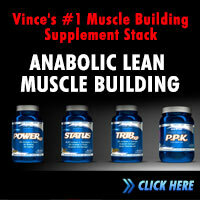 It can even lead to a lost in muscle strength and size over time. Don’t believe that more is better. When it comes to building muscle specifically, too much is not better. Having a limited amount of time forces you to mange it better. I got better grades in University when I was training 20 hours a week and competing on weekends compared to not. Why? Because having limited time forces you to not waste it. Having too much time tempts you to do more than you need and cuts into your recovery and ability to grow between workouts. First off, who does? Even if you look at the recent top ten WBFF pro models at Worlds, you’ll notice even the most gifted competitors have flaws. Obi Obadike, James Ellis and Artus Shakur all have slender legs that don’t come close to their abdominal development. Many of the guys have narrow clavicles. A handful of guys have biceps better than their triceps. My arm development does not compare to my back and chest development. Many of us fitness models have really high calves. I have a big waist. Now to be fair, any champion fitness model, muscle model or bodybuilder will have phenomenal genetics compared to the majority of us. The worst case scenario, you’ll never win a World Championship title. The Positive Angle: It’s going to take a lot more time and effort to build your perfect physique. What’s so positive about that? Firstly, you know you’re in for a big challenge. I can’t count how many high school athletes I competed against in running who had “insane genetics” but never fulfilled their full potential. Why? Because results came too easy and too fast with little challenge. They reached the pinnacle of (high school) success with little effort and got bored quickly. This resulted in not improving beyond that and being an exceptional runner in college or post college. I’ve seen so many bodybuilders and fitness models with average genetics beat out guys with “insane genetics” because they chose to put in the time and effort and made huge improvements over the years. This is my story. People have a hard time believing that I had “skinny genetics” eight years ago because today you would never guess I was once skinny. Many people falsely assume that guys like me are “gifted” when the truth is, I’ve built my body over eight years of day in and day out time and effort. The Positive Angle: Get this through your head – nothing trumps free weights – nada! Every time I have made a growth spurt it’s been responsible because of good old fashioned free weights and gravity. The truth is that machines are not effective by themselves. Start substituting your pull ups, chin ups, dips, presses and rows with machines and I promise your progress will begin to slow over time. Keeping your routine revolved around as many basic compound movements as possible will give you a tremendous advantage towards packing on thick and dense muscle. Who is educated when they start? 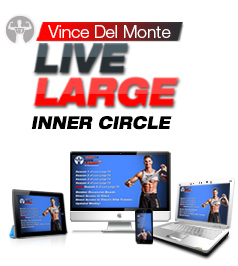 Every famous physique started with a blank slate of training and nutrition info and to become a student of the game. Currently most lifters become students via their friends Facebook updates, You Tube videos, articles on free sites written by kids (for free supplements in exchange) and “arm-chair” experts that preach fitness but look like 99 of the guys in your gym. Fitness magazines have been reduced from 7-8 page high quality research-based articles to 500 word “sound-bite” style articles to fill pages and sell supplements. In short, we have a severe case of the blind following the blind. Kids repeating what they heard to be true on one forum and repeating the lie on another and advice is never given in context, leading lifters down a dark, twisting hole. The Positive Angle: Action is inversely related to the amount of info you take in. This means, the more info you read, the less you can do. Limit your consumption and learn from doing, not talking about it. I recommend only keeping one chef in the kitchen. Learn from one coach at a time – not multiple coaches at the same time. For example, learning everything you can from me for an entire 12 months. Then learn everything you can from Charles Glass for another 12 months. Than study everything Ian King taught for 12 months. If you study from one coach at a time you will not get conflicting info and you’ll be able to figure out train through a un stressful state. Don’t underestimate the value of learning from one coach. Go deep, rather than going wide. 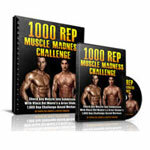 I did my entire 41 pounds of muscle transformation under the guidance of ONE coach. Side note – It’s your fault you’re confused. You’re trying to cook a recipe with five different chefs. Develop an attitude that strives for progress, not perfection. Most calculators, formulas and techniques are gross estimates of what is supposed to happen in the read world – consider them starting points. You won’t know if you need to adjust up or down until you put that piece of data to the test. Calculators, formulas, ratios, lifting protocols all lie because they are often based on averages and broad research experiments. Results do not lie. Put your trust in the mirror. Your strength. The way you feel. Irrefutable progress markers that are telling you what is working and what is not. Focus on implementing one new habit each month which will lead to twelve new habits a year. In two years, that’s twenty-four new habits. Track each habit while doing your best to keep everything else constant so you can learn from experience and not from a text book. Text books, academic debates and biased opinions can give you clues to what habit to test next but stop coming to conclusions about what works and what does not work unless you’ve put it to the test and documented your bodies response. Value your ability to learn from doing, not talking about it. Some pro athletes are in a position to get all the supplement they desire for free and if you peak inside their cupboards you’ll think they robbed a supplement store. Then there’s you. You can barely afford enough tuna and milk for the week and every extra penny you save goes to keeping your creatine supply topped off. For the most part you’re rotating around the same old milk, chicken, tuna and beef protein sources and confident you would be more muscular if you could afford all those fancy pre workout and post workout pills and powders. This is the the answer to you looking amazing. The Positive Angle: As good as some bodybuilding and nutritional supplements are, I have seen too many bodybuilders become reliable on them and can’t tell you if they actually make a difference. They are convinced it worked because they took supplement X during X contest prep so they are convinced it was a part of the winning formula – when really it was the hard dieting and hard training that did 95% of the transformation. 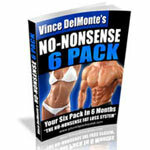 Today, guys want to believe that a certain supplement will fix their short coming and be the answer to the next level. The reason you’re not progressing is very unlikely associated to a lack of supplements. Let me repeat – nothing is more important than your ability to train and eat intelligently. Since we are suckers for marketing and “too good to be true” promises, we want to believe that the $50 we spent on X supplement made a difference (because we have an emotional attachment to our own money) so we continue taking it. I’ll be honest – I can’t tell you – without a shadow of a doubt – if my amino acid strategies work. I’m pretty sure they do but I can’t tell you if 10 grams is working better than 30 grams – I would be lying to you if I said I did. I often find out what supplements worked I pull them out of my routine and I can tell something is missing. Relying on whole food, instead of supplements is a huge advantage because that’s what matters. You’re forced to focus on calorie intake, ratios, meal frequency, fluid intake, portion size and factors that contribute to the big picture. Focusing on how many grams of glutamine to take during your workout is trivial in the big picture. In short, although I personally use a lot of supplements myself (because I’m more comfortable keeping them because they were apart of all my dramatic transformations), but I have a feeling if I stopped taking many of them I would not see a huge change in physique. I would not say my physique would look better, but I’m sure it would not look much worse. If that article was helpful, please hit the LIKE button. Any comments or feedback can be posted below. P.S. 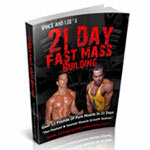 And if you need some Last Minute Confidence on how to dial in your most muscular and ripped physique in only 14 days, check out this brand new resource. So now we could get what we really want here. I appreciated this article very much, Vince! Great work! Gotta cut out my own excuses and get serious! Taking full responsibility for your life is the first major step to success. I conquered my first habit last month after the workshop which was to script my days. This month I will be focusing on getting up early to get ready for this show in November. Your father’s Sew analogy still rings in my head everyday. I’m correcting my thoughts everyday. Either you’re making it happen, or you’re making excuses. Good stuff Vince. Excuses are just that excuses. If you can’t commit to yourself then who can you commit to? If you want to do something then let nothing stand in your way. Sure there will be road blocks, this is life’s challenge to see how much you really want to achieve the goal. Building muscle isn’t easy and there are LOTS of distractions. The question is can you stay focused on the goal down the road, no excuses? It is a matter of taking responsibility for your life and how you go about living it. THANK YOU VINCE! YOURE ALWAYS INSPIRING AND ENCOURAGING… youve gave me a lesson! My energy level is always low. I’ve been trying to listen to your advice about eating a cup of veggies with every meal. So far, my gains have been okay. My gains are up and down. One day, I look at the scale, I’m 157.8. The following day, I’m 155.3 lbs. I keep getting this up and down pattern, and I’m not sure if I’m gaining muscle or fat. I eat really healthy, so I’m positive it would not be fat because I exercise and eat well-balanced meals. At the end of the workouts, I look so jacked, with just about every muscle in my upper body popping out with my abs looking shredded (6 or 8 pack) when I flex. All my muscles look full and pumped. I get compliments from guys when I’m in the gym from people saying I’m big, but as soon as my muscles aren’t pumped anymore, I look skinny again. I’ll look in the mirror and ask myself, where did all that muscle go and my well-defined abs? My abs will only show up in certain light or when I flex. When I wake up, my abs are not there completely (probably because I don’t have food in my stomach). It also looks like I have a bit of love handles still on my sides (hour glass look). I don’t understand because I train my obliques and abs, get good cardio, and eat healthy. I just want to be able to look like my “pumped and jacked” self 24/7. What’s the cause of this? I’m lean and muscular, so I’m not sure if it’s my body fat percentage. My goal is at least to get to 170 lbs, with a well defined body that turns girls’ heads and realize how hard I work in the gym. You gave so much universal advice that we can all accept and relate too. Upgrading yourself is very basic. and brings out the better image that will pay off in your success! I totally agree you should use the one coach approach. 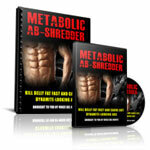 I have read and looked at other programs while following Maximize Your Muscle. I decided to stick with this program for the duration and know that it works rather than keep changing coaches or programs. I think this was a really good article and it was certainly just what I needed after getting on the scales this morning and finding I’m the same weight for the third week running. You’ve certainly reminded me that there is only one person responsible for the way I look and that is me, no if’s or buts. Thanks for this “kick up the arse” article. I feel ready to attack this next week and keep pushing forward to my goals, irrespective of whatever obstacles are in my way. Dave – if you don’t measure, you can’t manage. Start measuring everything. Get a grip on what’s really happening. I live in the UK too and I can sympathise with how expensive things are at the moment. Where do you get your supplements from? I use bulkpowders.co.uk for most of mine because you can buy in bulk for cheaper and they have got a pretty good range of stuff. Alot of now bodybuilders say, ‘when I was young I was so skinny’. But just because they were skinny doesn’t mean they were real ectomorphs. More likely, they were just tall, underweight, mesomorphs with bad diets. Vince included. They just ‘think’ they’re ectomorphs. And once they hit the gym, do their compound exercises and chow down their protein, they go through a growth spurt, hence their 6 month transformations. But an ectomorph should not expect the same thing. We will always be small guys. And will never look ‘buff’ no matter what we do. Its a pipedream for us. Sometimes in life you have to accept what you are. That’s bolloks.. i think it’s just harder to maintain… check out tim ferris’s 4 hour body. He added a LOT of mucsle.. but the moment he stopped maintaining.. shrank back down to skinny. Now that’s real ectomorphism.. i.e. the MOMENT you stop maintaining.. BOOM.. it disapears. Doesn’t mean you can’t keep it. just means you gotta keep it up! I have to agree with Pete on this one. I have a mantra that I bring to mind any time I start to think that I can’t reach my goals, which is “The moment I stop believing I can achieve my goals is the moment I stop trying to achieve them”. I am a strong believer that if you put obstacles in your way, you are dooming yourself to fail. I feel that a positive mindset should be your training partner every time you workout and in every waking moment. There is enough negativity for us to contend with without us adding to it with our own. The truly successful people in life are those who set goals that others say are unobtainable or unrealistic and stay 100% committed to and focussed on reaching them. So I would urge Omar to not believe other people’s arguments that we should just “accept what we are”, to set ambitious goals and to dig deep for that drive to achieve them irrespective of what other people say. I’m sure we’re all rooting for you to achieve. I agree with #2. Most of us aren’t born with great genetics but there are so many ways to overcome them. You are proof as well as I am. Keep it up man. Inspiration to all. Every time you say, “It’s my genetics holding me back…” I can show you ten guys who have disproved that statement. Make friends with guys slapping their genetics in the face. Good stuff, Vince. I think you really nailed the top excuses. Point #1 really outlines why I think many “busy successful people” stay incredibly fit – you’re forced into a maintaining a positive habit and rigid schedule. Really liking your answer to question 5. Very honest. That said affording enough food.. & high quality food is really.. really tough. Hell i just can’t atm.. full time student.. will be for the next 4-5 years too lol. Pete – so you focus on the foods you can buy and make a mini plan to add more as you realistically can. Progress, not perfection is the goal.